Indonesian retail giant Salim Group and South Korean retail giant Lotte Group today launched e-commerce platform iLOTTE. Built in form of an online mall, iLOTTE is launched as a mobile and desktop platform for leading local and global retail brands, instead of personal sellers or small businesses like in many online marketplaces. Examples of global brands that are already available on the platform are Clarins, Shiseido, Audi, Volkswagen, JBL, Canon, Nike, and LEGO. Some of its special features including flash delivery (that is able to deliver goods under three hours, or allow users to schedule delivery time), and a special category for South Korean products, from food to cosmetics to K-pop merchandises. Salim Group and LOTTE Group invested US$100 million to kickstart the platform, and the e-commerce company already operates its own warehouse in North Jakarta. Salim Group has recently made headlines with its acquisition of e-commerce site Elevenia, which was the result of a joint venture of SK Planet and XL Axiata. 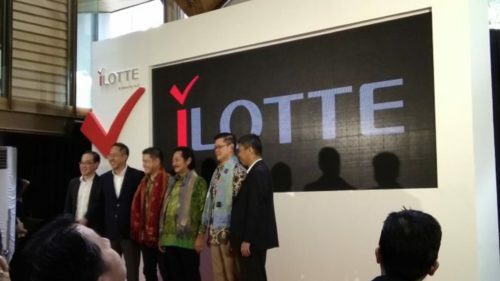 iLotte VP Steven Calvin Victory said that the Elevenia acquisition and the iLotte launch are part of Salim Group’s strategy in embracing e-commerce. “Salim Group hs the vision to contribute in building digital ecosystem in Indonesia. When we acquired Elevenia yesterday, it is also part of the plan,” he explained.